The trouble with Chromebooks is that Google can't come up with a powerful ultrabook that costs $700 or $800 because people would think it's too expensive. Why not get an ultrabook that runs a full-fledged operating system and install Chrome? To solve this issue, Google could try to change people's perception about Chrome OS and show that it's not just a browser. The latest Chrome OS releases made a lot of important changes: the browser can be minimized and resized, it's easier to open multiple windows, there's a desktop and a taskbar, you can change the wallpaper, there are cool applications like the media player, ScratchPad or Calculator that no longer open inside the browser. By including great applications that work offline (a dictionary, some games, a contact manager, a calendar app) and encouraging developers to build standalone apps that work outside the browser, Google could show that Chrome OS is more than just a browser. That's what Google did. After buying Quickoffice, Google ported the mobile app to Chrome using Native Client. Right now, it only opens Office file in read-only mode, but it will soon support editing files. It's not exactly Microsoft Office, but it's a pretty good office suite that works offline. 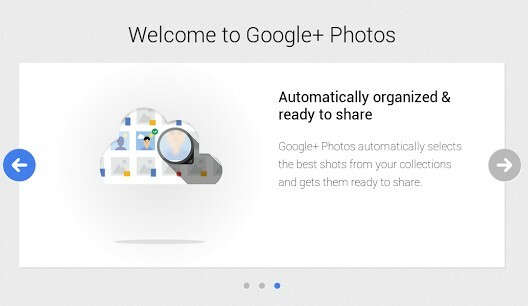 Google also works on a Google+ Photos app powered by Native Client that will let you import photos from your camera or phone and upload them to Google+. The most useful feature: automatic selection of the best shots. Chrome OS already has many features that live outside of the browser and it will add even more. Powerful Native Client apps that also work offline will allow Chrome OS to compete with full-fledged operating systems like Windows and Mac OS. Chromebook Pixel is Google's way of telling the world to take Chrome OS seriously. Chrome OS is no longer an experiment and a Chromebook is no longer useful just as a second device, it could become your main device. Hit the nail on the head, when devs discover what native client can do in a packaged app is the day that Chromebooks become a contender. I think/hope Google already has a Google Play Music app powered by NaCl and even more planned for Google I/O. 2013 is the year of Native Client. By the way I would like to know your predictions for I/O. The reason Google has introduced the Pixel now, and not earlier is because Portable Native Client is due for release this summer. That's when Chrome native apps with their write once, run everywhere you can install Chrome (or Firefox with Portable Native Client plugin) philosophy will explode onto the scene. Google Docs is an even better office suite that works offline. The integration with Quickoffice can help make Chromebooks more attractive to business customers, but it may not be enough. Microsoft Office applications are not the only Windows applications out there in the enterprise. Other Windows-based software such as ERP, CRM and even internally developed applications need to be accessed as well. Chromebook users that want to work with Windows applications beyond Microsoft Office can use existing solutions such as Ericom AccessNow. AccessNow is an HTML5 RDP client that enables Chromebook users to connect to Terminal Server or VDI virtual desktops, and run any Windows application (not just MS Office) or even full desktops in a browser tab.